The rhinoceros is a huge, heavy hoofed animal with fearsome horns not made of bone, but out of a material similar to that of our finger nails and hair. Nevertheless, it is a passionate herbivore. With the horns, it defends itself against hyenas, fights against rivals or digs up tasty roots. 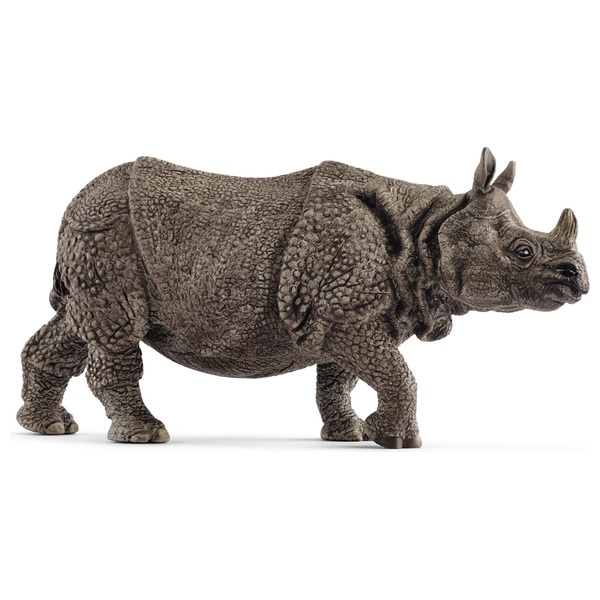 Although the skin of rhino looks very thick, it is actually very thin and delicate, just like the skin of elephants. To cool off and avoid sunburn, it wallows in the mud. You often see small birds on rhinos, hopping around and pecking. They free the rhinos of annoying parasites. The horn of a rhinoceros can grow to up to 1.5 metres in length.